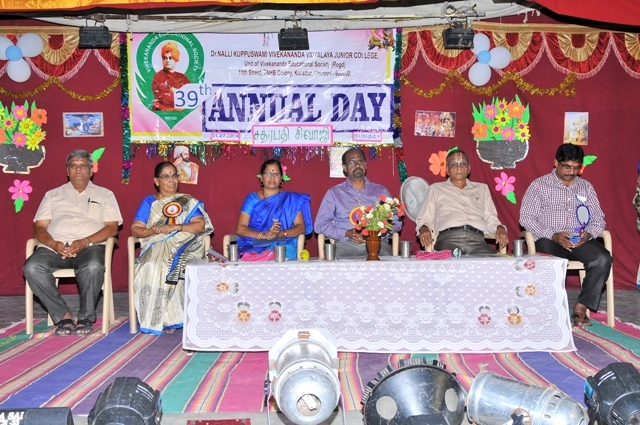 41st Annual Day was celebrated in a grand manner on 07.09.2018. 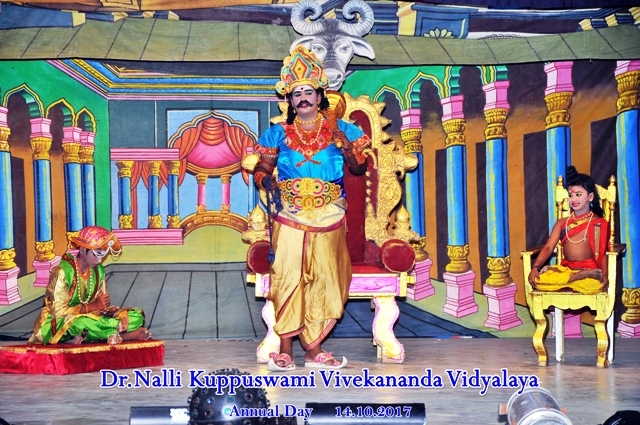 Padma Shri Dr. Nalli Kuppuswami Chetty, M/s. 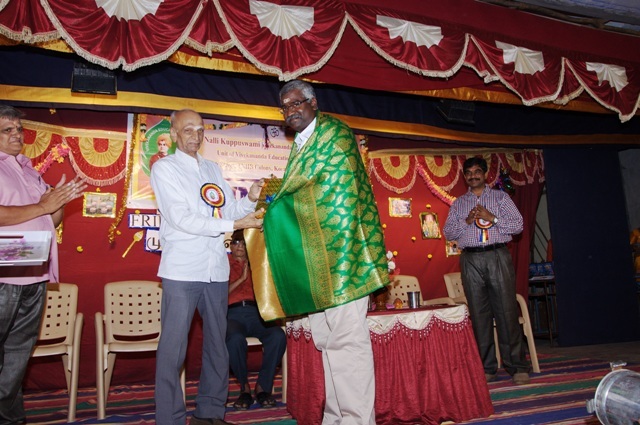 Nalli Silk House, Dr.S.Soundararaja Perumal, Executive Director, TN Science and Technology Centre, Sri. 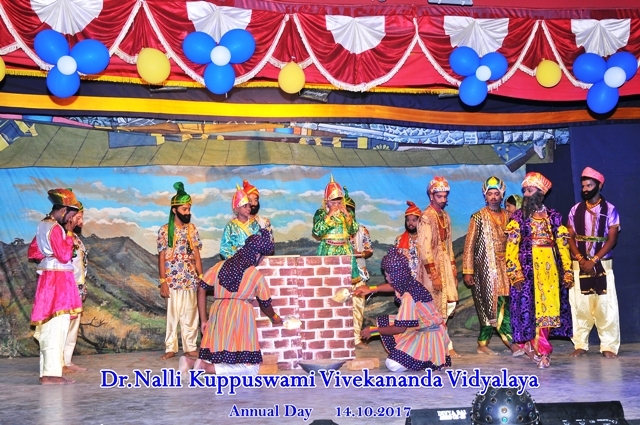 G. Venkiteswaran, Asso. Professor and Asso. Dean, WILP Division, BITS Pilani, Alumnus were the Chief Guests. Proficiency prizes for III to IX and XI were distributed. 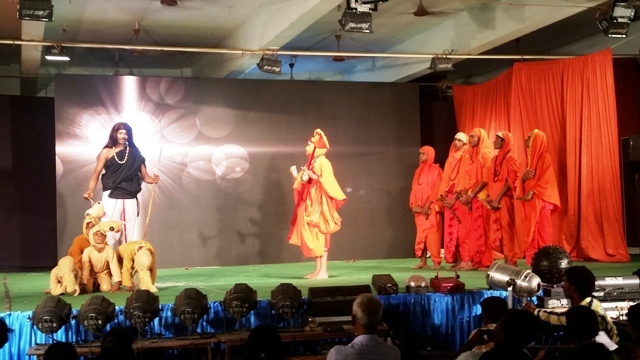 Students enacted drama on the topic “Adi Sankara”. Dr.M. Veerachamy, Joint Director, VIERT, Sri. K. Ponraman, Education Officer, Smt. Prema Mahadevan, Education Officer also graced the Occasion. 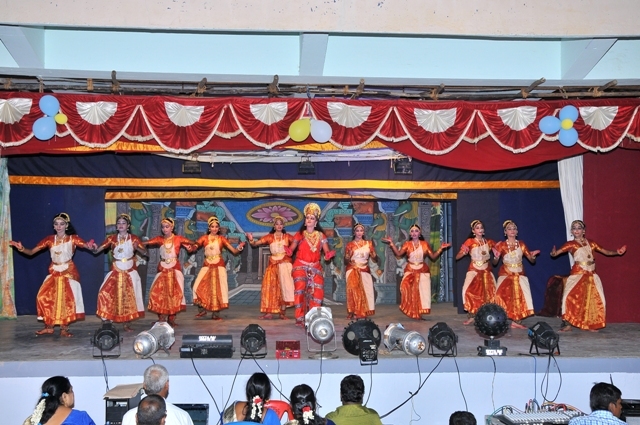 The mega event of our school 40th Annual day is the highlight of all our school. 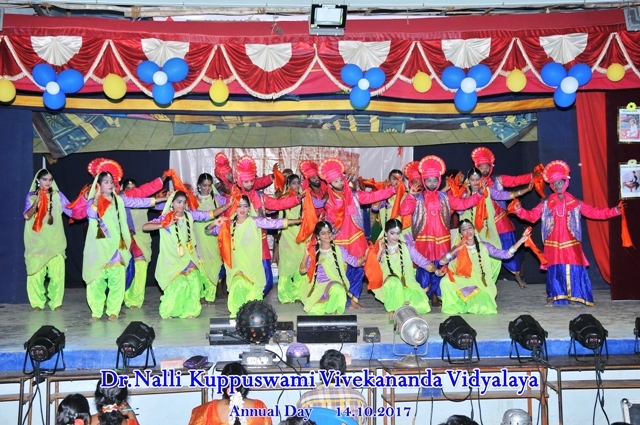 The programme started by lighting the Kuthuvilakku by Chief guests and invocation to God almighty by a prayer song rendered by our Student. 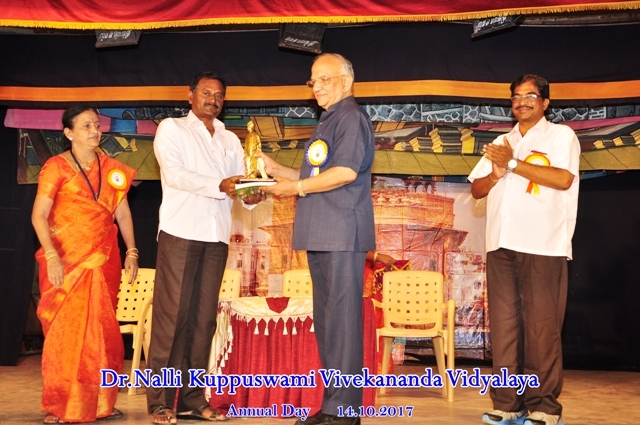 Our correspondent Sri.N.R.Narendranathji welcomed the gathering and spoke about the history of our school and introduced the chief guest. As a token of love and respect, mementoes were given to the guest. 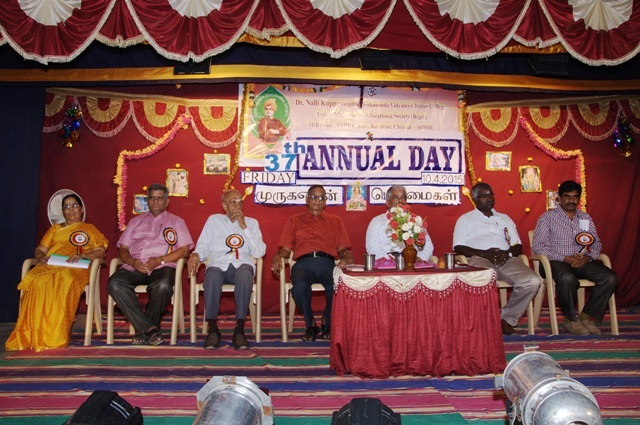 Chief guest of the day was Sri.D.Ravi, Managing Director, M/S Classic Moulds and Dies, President AIEMA, Sri.T.S.Krishnamurthy Former Chief Election commissioner and Alumunus Sri.M.Siva Subramanian. Our Joint Secretaries Sri.Ravindranathji, Sri, Ramamoorthiji, Correspondent of Vyasarpadi Unit Sri.Ramachandranji our Educational officer Sri.Ponramanji graced the occasion. 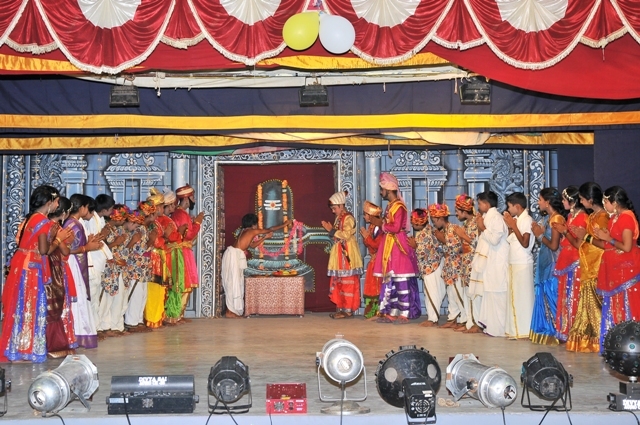 The pompous cultural show drama by our school students on the topic “Thava Pudhalvargal“. Drama comprised of two different sacrifices made by two different truthful and courages patriots, Nachiketha and Zorawar Singh and Fateh Singh. 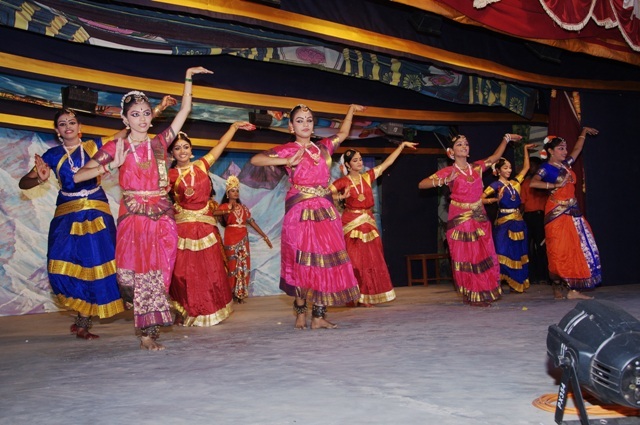 39th Annual Day was celebrated in a grand manner. 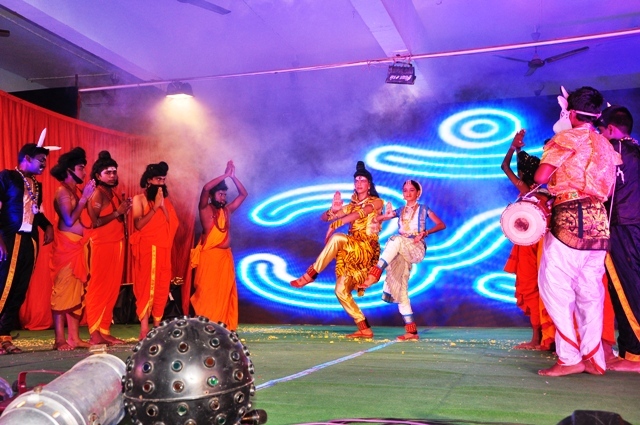 The theme of the cultural programme was “Chatrapathi Sivaji”. Sri. D. Harigopal, Proprietor, M/s. 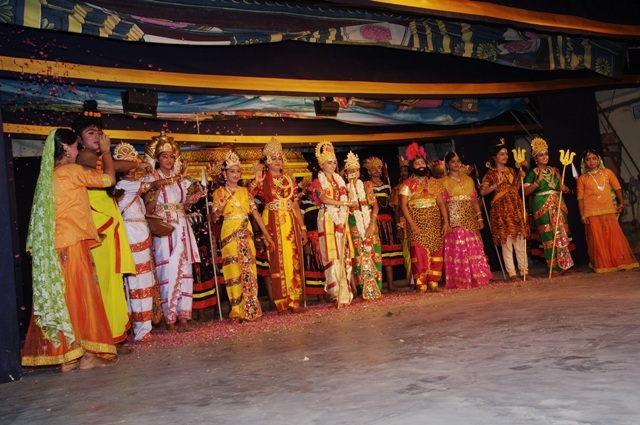 Aishwarya Enterprises was the Chief Guest. Our Vice President Sri. T. Chakravarethyji, Joint Secretary, Education Officer, Academic Co-ordinator, SMDC Vice President Sri. G.P.N. Guptaji, SMDC Member Sri. 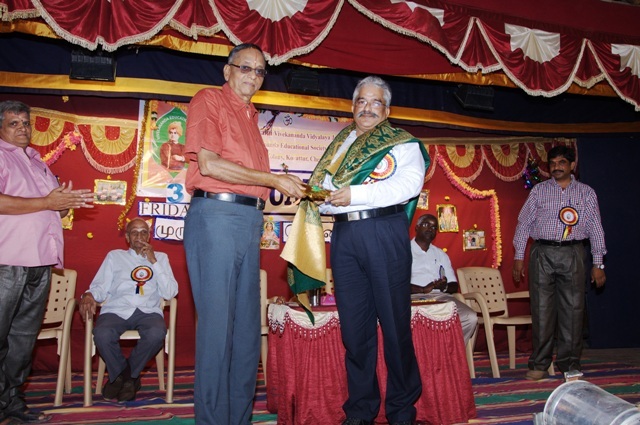 B.S.Janakiramanji, Correspondent, Additional Correspondent graced the occasion. 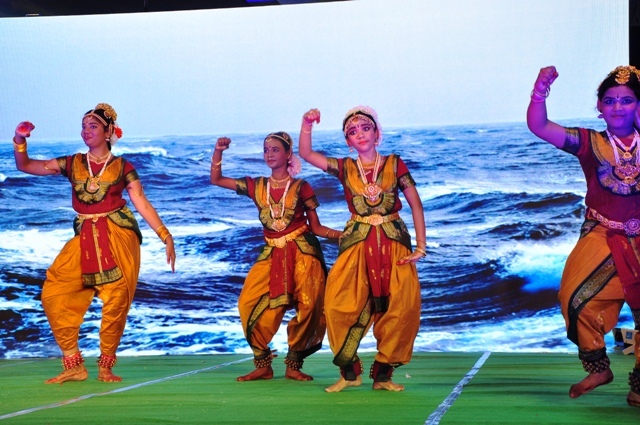 37th Annual Day was celebrated in a grand manner. 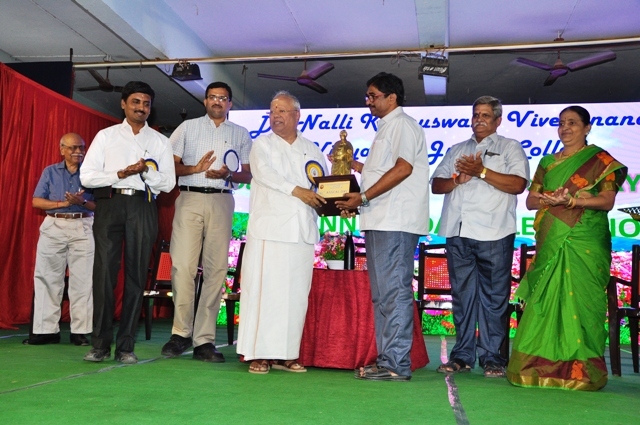 Sr. J. Saravanan (Trust Geoconsultants Pvt Ltd.) was the Chief guest. Prof. Sri. 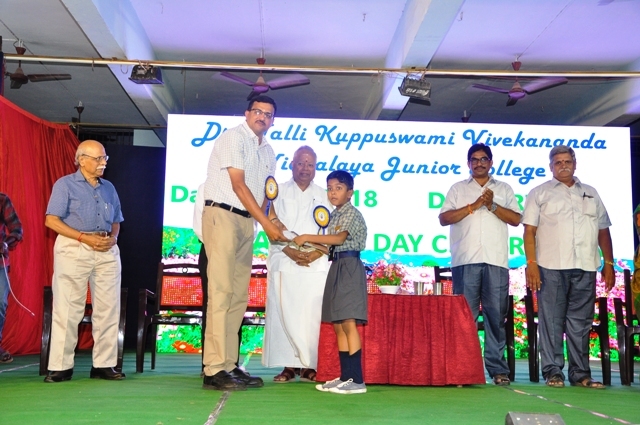 T. Jayaram, Correspondent of JaiHind Matriculation School, Maduravoyal presided over the function and honoured the staff and the students. Our Secretary Sri.T. 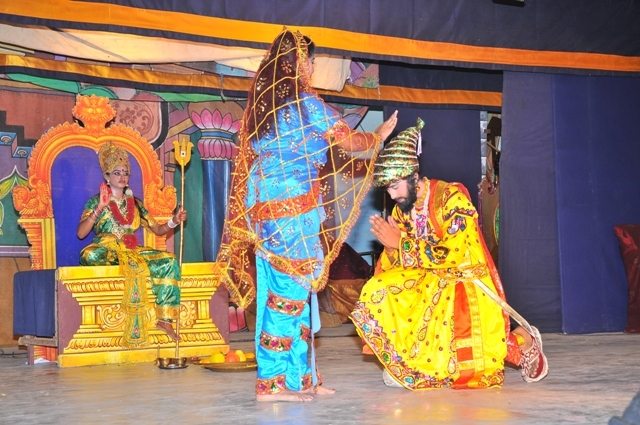 Chakravarthyji honoured Smt. S. Padmavathy for her dedicated service of thirty years in the school and blessed her. 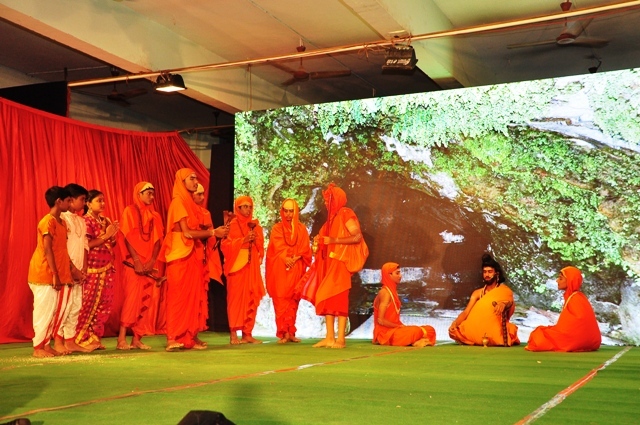 The cultural programme was centered on the topic “Muruganin Perumaigal”. 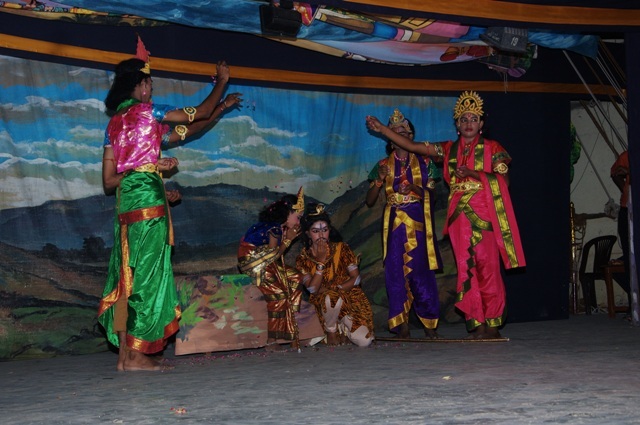 The students depicted the avatar of Lord Muruga in the form of dance-drama. 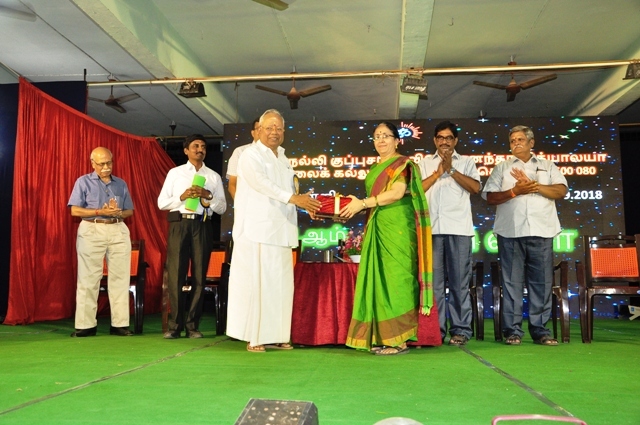 The chief guest Prof.T. Jayaram in his presidential address insisted about parental care. His advice to the students was to be obedient to keep their head high. 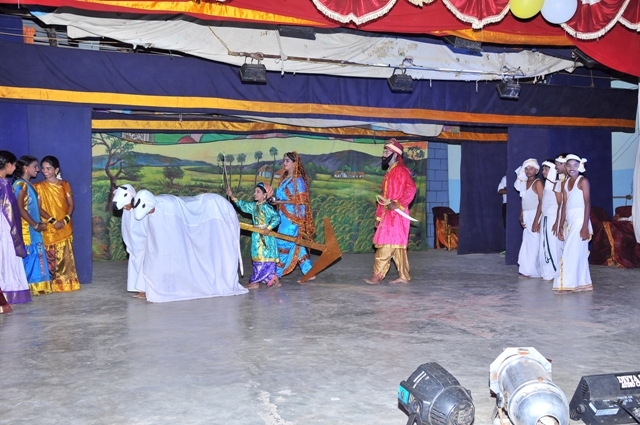 He also appreciated the students for their wonderful talent display.